Our range of congratulations gifts include boxes, tins and hampers of chocolates as well as chocolate and flowers gift sets. There is no better way to say well done than with chocolate from Cadbury. 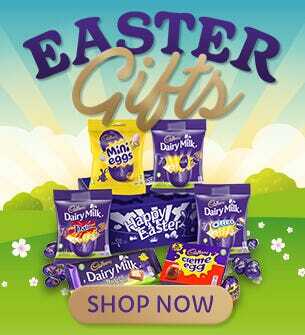 With our wide selection of chocolate and hampers, you can use Cadbury Gifts Direct for a hassle free way to send congratulations to friends and loved ones. Search our range below to find the perfect congratulations gift. Order Congratulations!